Well, Christmas has finally come to an end and it was a juicy one for everyone involved. Especially the retailers who were visited by anyone in my family purchasing every possible thing under the sun for my two children.Seriously,there are retailers all of the country who are breathing a sigh of relief today, saying to themselves, "Thank God for the Perry children." My parents, long considered the more sensible of my relatives, decided it was a good idea to buy my child a horse the size of, well, a horse. It's beautiful, it bounces up and down, and it's too large to fit into an average size car. Also, it's too large to fit inside an average sized house. I expect this sort of behavior from my sister,whose motto is,"It's not my problem." "You don't have room in your yard for a llama? Well, it's not my problem." Was the horse a success, as far as presents from the grandparents go? Well, before going to sleep last night, my daughter Samantha looked at me and said, "First take a nap, then ride horsey." So, you be the judge. 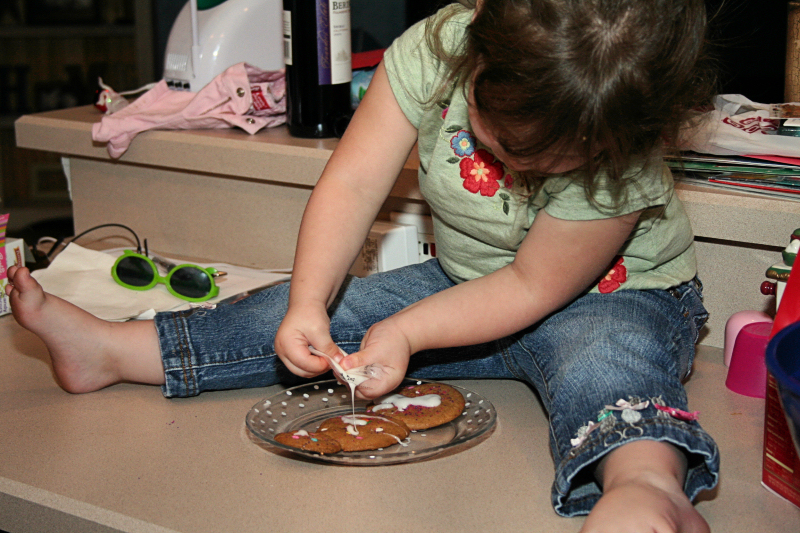 Eventually, she figured out that the milk and cookies were not for her. 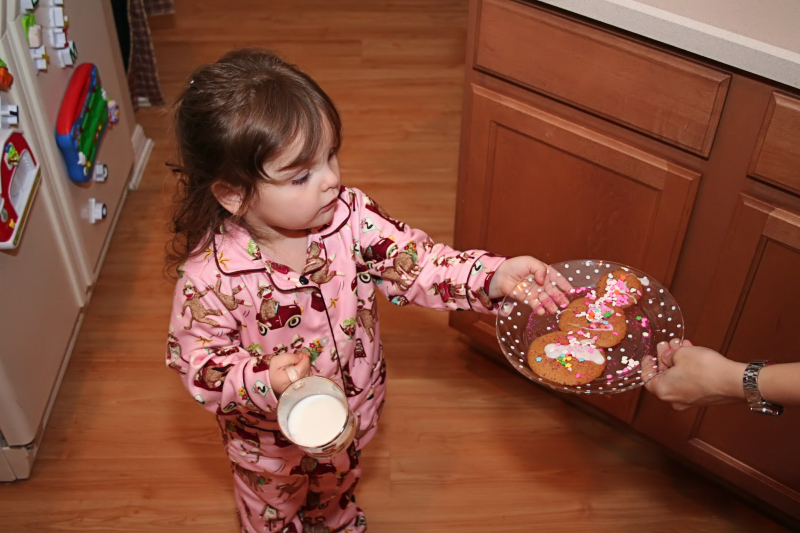 It's funny, because Christmas morning, despite a room full of presents, the thing that she was most excited about was the fact that Santa had eaten her milk and cookies.